12/21/18 update: I recently re-opened my shop on Etsy, where I offer a less-concentrated blend of Peaceful Child® in a roll-on bottle for just $8.99! Please feel free to visit my shop! 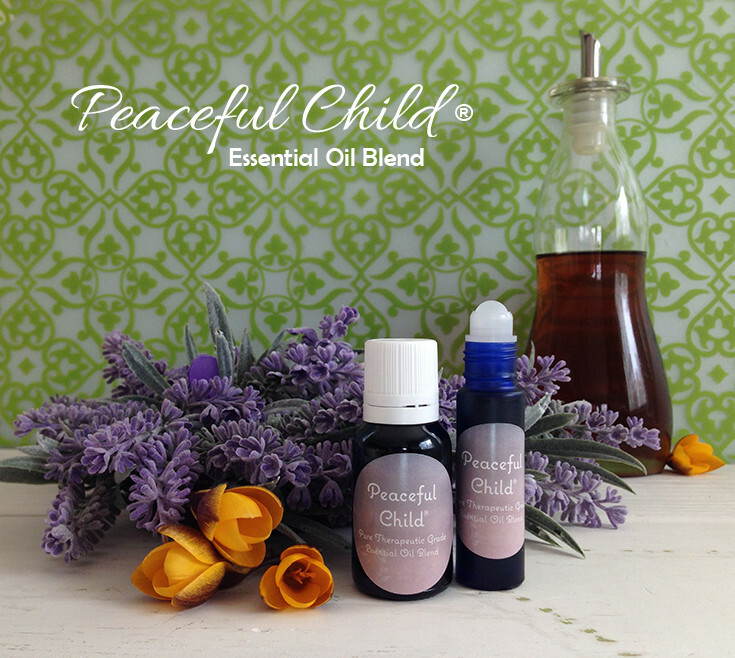 Created by a mother of five children, Peaceful Child® is the number one essential oil blend in the world for calming symptoms associated with ADHD, anxiety, autistic spectrum disorder, ODD, and tics from Tourette’s syndrome. It is also used to help calm PTSD, racing thoughts, irritability, and fitful sleep. Check out the testimonials! Peaceful Child® is perfectly formulated with 100% certified pure and natural essential oils so you can experience relief without synthetic, brain-altering medications. Many have tried to duplicate Peaceful Child® with very compromised results. Most imitations are cheaply made and highly diluted with imbalanced ingredients that are not pure. These imitation blends cannot yield the same strength of medicinal and therapeutic calming properties as the actual Peaceful Child® blend. Please do not waste your money on these imitations and make sure to look for the registered trademark (®). When treating your child naturally, use only the strongest and purest blends for optimal results. Check out our entire line of unique and natural products specially made to make life better for children and adults! ORIGINAL AND REGISTERED TRADEMARKED FORMULA, SO YOU KNOW IT WORKS! HELPS CALM ADHD, ANXIETY, STRESS, IMPULSIVITY, PTSD, EMOTIONAL TRAUMA, AND INSOMNIA SO YOU CAN LIVE YOUR LIFE! 3 YOU DESERVE TO FINALLY EXPERIENCE PEACE AND HAPPINESS IN YOUR HOME!